Valentine's Day is fast approaching! This special day falls once a year and provides the perfect chance to remember and recognize the people you care about. Do you know someone who could use an added boost this Valentine's Day? Perhaps you know someone who has had a hard time (surgery, illness, loss of job, loss of a loved one) or who will be lonely this year. 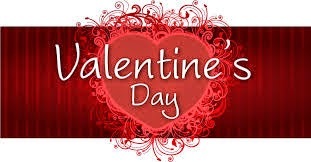 Perhaps it's someone who is a kind and giving person who deserves added recognition on this day of love. If you know someone that could really use a special surprise, let us know! Tell us about the person and why they deserve a boost. The top 12 entries will each win a beautiful bouquet of red roses for Valentine's Day that you can use to surprise your nominee. Click to read one of last year's entries. AND...if you take a video clip of the big reveal, and send it to us, you will be eligible to win the GRAND PRIZE: A bouquet of roses every month, for a year! Yes, that's 12 bouquets of fresh, plump roses to brighten your entire year (or someone else's) ! 1. Tell us why your special nominee deserves to be surprised with beautiful red roses this Valentine's Day. Email a short summary to contest@bloomex.ca. 2. 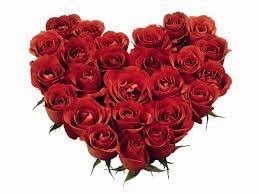 The top 12 entries will each receive a bouquet of a dozen beautiful red roses. We will send the bouquet to you so that you can take the flowers to your special person for your big surprise. If you live too far away from your nominee, we will deliver the bouquet to someone in their area who is willing to do the surprise. 3. On the day you bring the bouquet, you or a friend should take a video clip of the recipient getting their flowers. This way you can enter the second part of the contest. 4. Send us the video clip of the nominee receiving their roses. The best video wins the GRAND PRIZE of a bouquet of roses every month for a year! 1. By submitting your written entry and/or video you agree that you have permission to submit and that you allow Bloomex to post your submitted materials publicly on sites including but not limited to www.bloomex.ca, the Bloomex blog (bloomex.blogspot.ca), the Bloomex Facebook page, the Bloomex Twitter feed, and the Bloomex YouTube channel. 2. The winning entries from the emails and videos will be determined by a panel of Bloomex employees. 3. DEADLINE FOR ENTRIES is Friday February 6th, 2015, at 12 noon. Eastern Standard Time. **CONTEST DEADLINE EXTENDED TO MONDAY FEBRUARY 9, 2015, 12 Noon EST!! 4. 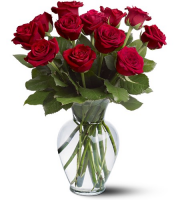 The top 12 entries from the email summaries will each receive a bouquet of a dozen red roses. 5. The top entry of the video submissions will receive one bouquet of roses every month, for twelve (12) months. 6. Contest open to residents of Canada. (Better luck next time, Finland).